The journey to parenthood is an emotional one and even more so when it’s your first baby. For mothers especially, that very first Mother’s Day is a memory to treasure forever. It doesn’t matter whether the baby is a newborn or yet to be born, she is all ready to become a mum for the first time and that is something worth celebrating. So for such a momentous occasion, how do you mark her first Mother’s Day? You need to look beyond a gift and instead purchase a memory. Personalised gifts offer you the chance to do just that in some novel and unique ways. An expectant mother is still caught up in the excitement and magic of it all so any gift you buy should be a reflection of that. It doesn’t have to be a large and expensive purchase, it can be a small token which comes straight from the heart and celebrates the miracle that you have both achieved together. Don’t forget that she still needs lots of love and attention in this stage of motherhood! Celebration and looking forward to the future are important themes so you could consider a personalised calendar that marks that all important due date and features little messages of love that will make her smile every time she reads them! With so many ante-natal appointments and special days to book, a calendar will also be a practical and handy gift to have. 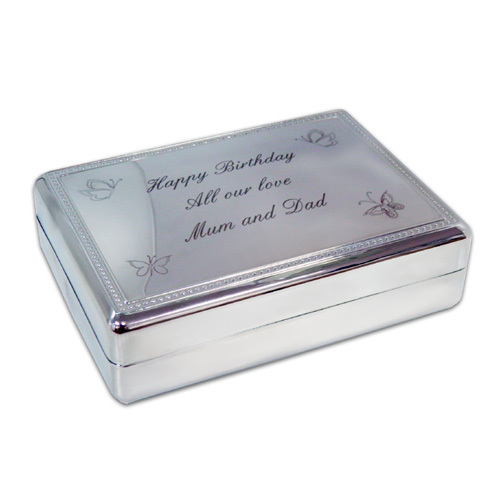 Some fathers present new mothers with a gift after the birth of their first baby together, such as a piece of sentimental jewellery and what better place to keep her treasured jewellery than in a personalised jewellery box upon which is engraved a message from you to her? She can also use it to store little mementoes once the baby is born so that it becomes a memory box too. 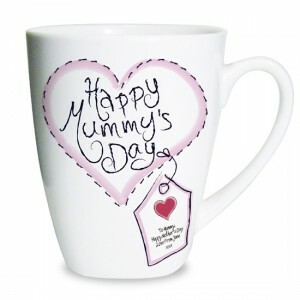 There are plenty of novelty gift ideas for expectant mums including chocolate, special mugs and photo frames and you can personalise each one with her name, a special date and even a short message. Whatever you choose, make sure that she’s treated like a goddess on Mother’s Day – she deserves it! Once the baby has arrived life as you once knew it, changes forever. Yes it is magical and wonderful and totally fulfilling but it is also exhausting, relentless and it has to be said, darn hard work! A new mum is often frazzled and anxious as she tries to come to terms with the huge responsibility of having a little person to care for. The baby is obviously not yet old enough to show their appreciation to their mother, who is also their own personal cook, cleaner, first aider, entertainer, dresser, teacher and chauffeur, so it comes down to the father or other family member to ensure that she receives due praise for the work that she does. These first Mother’s Days are special and you need to ensure that hers is one never to be forgotten. Of course what every new mum needs the most is to be pampered and personalised pamper packs will ensure that she has everything she needs to relax and unwind in luxurious style – all you need to do is take care of the baby whilst she has a little ‘me’ time. 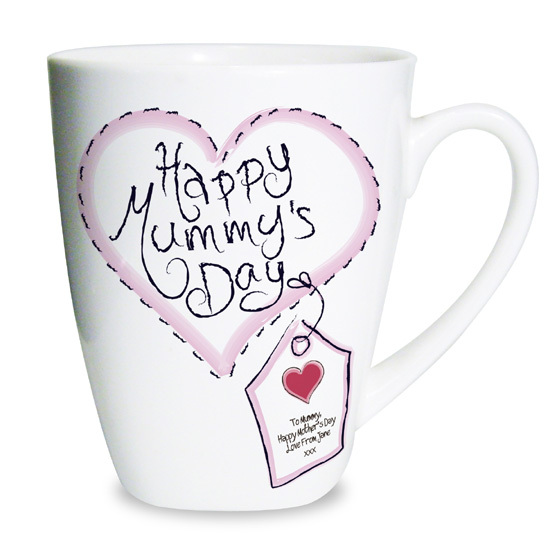 Sometimes the simplest of gestures say a thousand words and there can be nothing better than letting a new mum have a much needed lie-in along with a cup of tea in bed – out of a personalised Mother’s Day mug. A yummy croissant would also be lovely sweet treat! Mums are worth their weight in gold and for new mums, the journey is just beginning with their own bundle of joy. Actions speak loudest of course but little tokens of love and appreciation can be treasured and provoke many happy memories of those first precious moments of motherhood. Help seal those personal memories with some little gifts of joy and delight that will truly make her Mother’s Day. 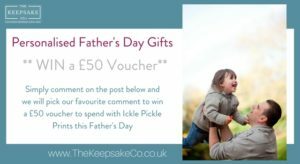 Personalised Baby Gifts: What is in a name?